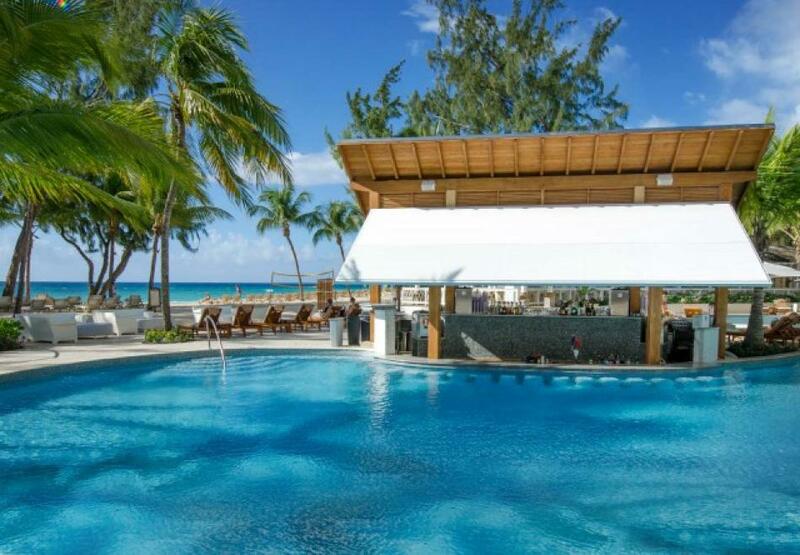 Superb special offers at the first 5 star all-inclusive couples resort in Barbados. Sandals Barbados is situated on the pristine white sands of Dover Beach, where the Caribbean meets the Atlantic and endless sunshine is accompanied by gentle ocean breezes, Sandals Barbados invites you to surrender to the calypso rhythms of paradise and provides an idyllic refuge for you to recharge and reconnect with the one you love. It is ideally located at the bottom of the famed St Lawrence Gap – known for its lively restaurants, lively nightlife and good shopping. Only fifteen minutes drive from the Grantley Adams International Aiport. With more inclusions than anywhere else in Barbados, your worry-free holiday begins the moment you land on the island. So why not spend your days with white sand between your toes. Learn how to kayak in azure blue waters. Get lost in the tropical gardens. Indulge in an invigorating or romantic massage for two. Enjoy the freshest seafood and best rum punch this side of heaven. Or simply relax to the sounds of green monkeys playing in the palm trees at sunset. After all, this is paradise Sandals Barbados-style – where every enchanting day and magical night encourages you to live well.